If you've been dreaming of owning a bright, modern bathroom that will meet your needs, Re-Bath is here to help. We're a locally owned and operated bathroom remodeling company in Lancaster, PA with a reputation for creating functional, inspiring bathrooms for our customers. We offer a wide selection of products and design options, including tubs, showers, sinks, and vanities. Our bathroom remodelers can also replace bathroom lighting and flooring. We'll guide you through the entire bathroom renovation process. During the design phase, we'll discuss what you have in mind, offer suggestions, and put together a customized design. Your entire new bathroom can be planned and priced in the comfort of your own home. You'll have a choice of various colors and patterns as well as access to our exclusive and proprietary products. As a proud homeowner, you can take pride in our work knowing that we make most of our products here in the US. Our certified craftsmen will take care of all the removal and replacement work. Anything is possible when it comes to the bathrooms we design. Complete updates are no problem for our installers. Since we also have an aftercare program, our team can even provide ongoing support after the remodel. There's no reason to put off your desired makeover when you can put the team at Re-Bath to work for you. We invite you to visit our conveniently located, new showroom on Harrisburg Pike off of US Route 30. Best of all, you don’t have to worry about getting hold of us. We have a live answering service in use during non-business hours. Call today to set up a free, in-home design consultation with one of our design consultants. When it comes to bathroom remodeling, our contractors have the skills, knowledge, and tools to bring your design visions to life in your home. Our bathroom showroom is your primary destination for remodeling assistance when you’re ready to explore all-new washroom ideas. We consider it our duty to help homeowners with their renovation projects by providing them with name-brand products at competitive prices. No matter how ambitious your remodeling project, we want to ensure the new space you’ll create will be something out of the ordinary. Does your bathroom feel cramped? Are you and other family members constantly knock sundries and grooming tools off of your countertops due to an overall lack of space? Imagine how easy your morning routine might be without having to stop and pick up dropped or fallen items. With a redesigned bathing area from our skilled remodeling contractors, you are sure to start your day off on the right foot. From removing walls and partitions to replacing bathing and showering fixtures, our team is equipped to do it all. Whether you wish to make your washroom space more manageable or you want to create a personal oasis, we’re here to make it happen. Let our bathroom remodelers make your ideal changes and provide you with an outstanding home feature that meets your aesthetic and functional needs. Many bathing spaces come in a traditional style featuring simple tile flooring and an ordinary white bathtub and shower. Don’t let outdated, unattractive bathing fixtures detract from the value of your home. You deserve decorative, sleek features that complement your washroom aesthetic. Turn to our bathroom remodeling company to give your space a highly desirable makeover that’s sure to bring out its inner tranquility. A bathroom remodel works best when all of your planned changes are implemented simultaneously. This not only helps our team create a cohesive design, but it also helps us get an exact picture of your material and labor needs. From cabinetry and countertops to showers, our remodeling team is prepared to give you an attractive, functional washroom arrangement that you’ll love. Count on us to provide you with a flattering home investment that you can be proud of. We look forward to exceeding your expectations at every turn. Schedule a complimentary in-home design and bathroom remodeling estimate today. Contact our remodeling company in Lancaster, Pennsylvania to give your bathroom a comprehensive makeover. We proudly serve homeowners throughout southern and central Pennsylvania. As the steward of our company culture, Jon inspires our core purpose: pursuing an exceptional employee and customer experience. In addition, he makes sure that our core values are being applied to every job: having a personal growth mindset, doing the right thing instead of the easy thing, and having a positive can-do attitude. "The key to a great remodeling experience is working with people who truly care about your project as much as you do. I take great pride in knowing that our team will do their very best to make the experience great for all involved." Re-Bath Lancaster has developed a repeatable process to make sure this happens. "Most of the feedback we receive from our customers specifically mentions the names of the Re-Bath team members that were involved in the project," says Jon. "It tells me that our team makes a great impression on our customers. Its validation that we are living our values." Jon enjoys working with the dedicated group of people who make up the Re-Bath team and are passionate about delivering a great customer experience. "I'm so impressed by the way our team members support and help each other." During his free time, Jon enjoys spending time with his wife and three children, encouraging them in their various activities, and considers his family his greatest achievement. Jon loves to spend time outdoors, especially fly fishing. "Everyday is an adventure," says Mark, who has spent eleven years leading an exceptional employee and customer experience at Re-Bath in Lancaster. "We have the best people, the best products, and strive to provide the best customer experience." Hearing from customers about how great their project has been, working with his team, is what Mark enjoys most about his time at Re-Bath. Mark is proud to have raised some "great kids," and enjoys spending time with family, fly fishing, hunting, or working on his 1978 Jeep CJ5. Jeremy's goal is to always do what's best for his customers. "Every day I have the opportunity to help people transform their bathrooms into something beautiful!" For Jeremy, Re-Bath offers the best value of any bathroom remodeling company today - the beautiful, easy to clean, and durable tub and shower systems literally transform bathrooms into a sanctuary. "I love meeting new people and working with them to design the bathroom that they've always dreamed of having." Jeremy says he's thrilled to be part of the "talented" Re-Bath team that always strives to do the "right thing," not the "easy thing." "Every day I find new inspiration from the people I work with." When he's not designing bathrooms, Jeremy referees soccer, plays guitar, and enjoys reading and spending time with family. His greatest achievements include successfully completing two full marathons, and helping to raise two talented and well - adjusted children. Jim started his position at Re-Bath of Lancaster in January 2016, and says he's been impressed by the overall professionalism of the entire team, ever since. "All of us strive to provide the best high-quality products, attention to the finest details, and a good overall customer experience. I try very hard to listen to what my customer's needs are for their home, considering both the short - term and potential long - term goals." As Jim sees it, it's the goal of Re-Bath to give our customers a room that will give them years and years of worry-free enjoyment. His favorite part of the job is meeting the customers and assisting them in finding the best solution to meet their needs. 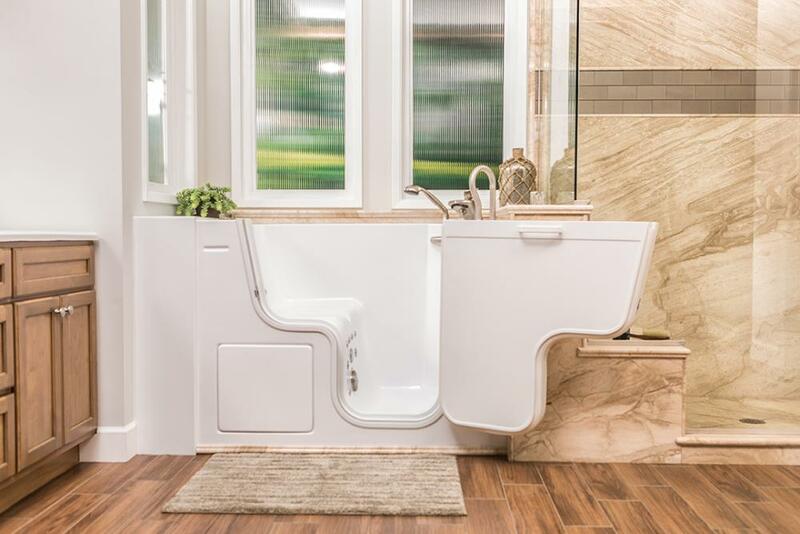 The durable and beautiful materials Re-Bath uses "enables him to bring joy" to his clients. "There is no better satisfaction than to hear our customers say they thoroughly enjoyed the remodeling experience with us." Jim graduated from an education focused in building materials. This opportunity serves as the basis for him to work for and with some of the most successful building products companies in the world. "Now I am able to apply that knowledge to designing for our customers throughout south-central Pennsylvania." In his free-time, Jim enjoys music, bike riding, gardening, and fishing. According to Shane, when he spotted the job ad for Re-Bath, it was "like a sign from above." He had done bathroom remodeling in the past and missed doing that type of work, after being stuck in a dead-end job for almost 10 years. "I approach each job as a learning experience. Each job has challenges we need to overcome in order to achieve a beautiful end product," and he includes the customer throughout the process to be sure that it turns out exactly as they envisioned it would. "In the end, a great job and a happy customer are all we are really trying to achieve," he says. Shane thinks that Re-Bath not only has the most knowledgeable team, but one that really cares about the needs of the customer. "Our designers, salespeople, and installers will help you get the bathroom you've been dreaming about having. And I feel Re-Bath offers the most options and best quality products." Shane appreciates that Re-Bath of Lancaster cares as much for their employees as they do their customers - by hosting fun team building days that give employees a break from the normal routine. On his typical day off, you'll find Shane catching up on housework and chores, attending the baseball events of his two sons, and whenever possible, taking the family to the cabin to ride ATVs and relax. He also enjoys archery hunting, the occasional fishing trip, and beach time over the summer. "My family, and knowing they are provided for, are my biggest achievements." "We do the job correctly without covering up problems," says Adam, in regards to what he thinks his team does especially well. The emphasis on customer satisfaction is his favorite part of working at Re-Bath of Lancaster. As a skilled remodeling carpenter with over 8 years of experience, Adam has graduated from the Associated Builders and Contractor's apprentice program, and has earned multiple Craftsman of the Year Awards. During his time off, Adam can be found improving his own home. As a Service Manager for Re-Bath of Lancaster, Alan says he works for his company as diligently as he'd expect from other service providers he'd hire himself. "I enjoy helping people protect their investment in their home," he says, and considers purchasing his own home as one of his greatest achievements. "I am proud to work for such a great company." Andy approaches his job at Re-Bath as an opportunity to give customers a bathroom they've always wanted, and thinks his company is a great choice, for their "friendly staff and excellent products." With over twelve years of carpentry experience, and multiple Craftsman of the Year awards under his belt, he's given lots of customers peace of mind. "I enjoy seeing the customer completely satisfied at the end of the project." Ask him about his dog Zig, and if you catch him on a day off, you'll find him outside enjoying hiking, camping, boating, beach trips & any kind of sporting event. For eleven years, Kevin's aimed for consistency and accuracy in all of his projects, and that he and his team deliver exactly what the customer envisions. "Because there are so many details to a bathroom project, I make sure that nothing gets lost between the time of sale and the time of install." Excellent customer communication, high quality employees, and best-in-class warranties on their products, are the reasons Kevin thinks Re-Bath is so successful. And seeing a customer's vision come to reality is why he loves what he does - it's "fun" to hear people say "this is better than what I expected." In his past endeavors, Kevin played drums with bandmates at Creation Festival, recorded albums, showcased in Nashville, traveled across the country, met a President, and opened for artists like Jars of Clay, Skillet, Lincoln Brewster, and Paul Baloche. Kevin loves to spend time with his wife and three kids. He also enjoys improving his home and yard. But his greatest accomplishment, he says, is his family. "I've been married for over 20 years to an exceptional woman, with our two delightful girls, and a good natured son." As a part of the Re-Bath team for over 5 years, Kristin has helped hundreds of people achieve their goal of having a beautiful bathroom. Kristin attributes Re-Bath's core value of "Having a positive can-do attitude" to her success. Her hobbies include nature walks with her dogs, spending time with friends and family, and singing karaoke. Kristin is the mother of two lovely children, and when she's not busy raising them, she answers questions from clients, sets appointments, and handles all things customer service. As an installer, Roberto views his job as an opportunity to show his skills - and Re-Bath's quick turn-around on projects gives him lots of opportunity to use them. His favorite part of the job is that there are "new challenges every day." In his time off, Roberto likes to watch sports, work in his yard, and coach soccer. "I've achieved the American dream." A planner by nature, Scott keeps the Re-Bath schedule well organized. Of course, it helps, he says, that Re-Bath of Lancaster has great people working alongside him. "Our products are exceptional - great quality and great warranties. Plus, we have skilled carpenters installing the jobs." Scott's hard work has contributed to many achievements including winning a state softball title. During his free time, you'll find him doing yard work or checking new travel locations off his bucket list. As an Installer, Stan attacks his projects, often completing two bathrooms a week, and thinks that "great value" is what sets Re-Bath quality materials apart from others. He enjoys meeting new people, and getting to know them personally while he renovates their bathrooms, one of the most important parts of their home. Ask Stan about some of his greatest achievements - he's been to 14 countries in 4 continents, and previously worked as a combat engineer in the USMC. When he's not tackling bathroom remodeling, Stan likes to fish, camp, hike, and work on his own home. Steve has gained a lot of his experience serving a variety of needs throughout the company, to meet and exceed the expectations of customers. He's an integral part of the company's "18 point communication plan," aimed at keeping customers informed throughout their entire project, and he enjoys talking to customers on a daily basis. 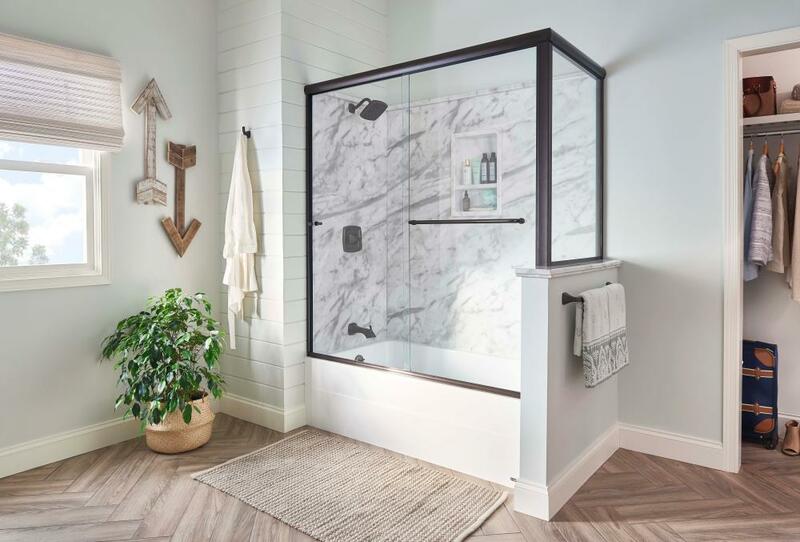 He recommends Re-Bath for "their ability to design a complete bathroom in one visit," and for their "best warranties on products and installation." Be sure to ask Steve about his grand kids! When he's not spending time with his family, Steve likes to read, play the piano and ride his bike. Telling the story of her company, and helping customers see how valuable their services are, is what Katie enjoys most about her part in the Re-Bath team. She'll tell you that her co-workers are committed to making a big difference in people's lives, one beautiful bathroom at a time. In her free-time you'll find Katie making art with her two joyful, young children, hiking in the woods, or sweating at the Crossfit gym. As an installer, Kenny makes sure your quality bathroom renovation becomes a reality. "Everyone is always willing to help," he says, about why his teammates make Re-Bath of Lancaster a great place to work. "And that same team is with our customers every step of the way. We do the job right." Ask Kenny about fly-fishing - it's one of his favorite things to do when he's not working carefully for Re-Bath customers. The end result of a project, including the customer's excitement, is Josh's favorite part of being a Re-Bath installer. 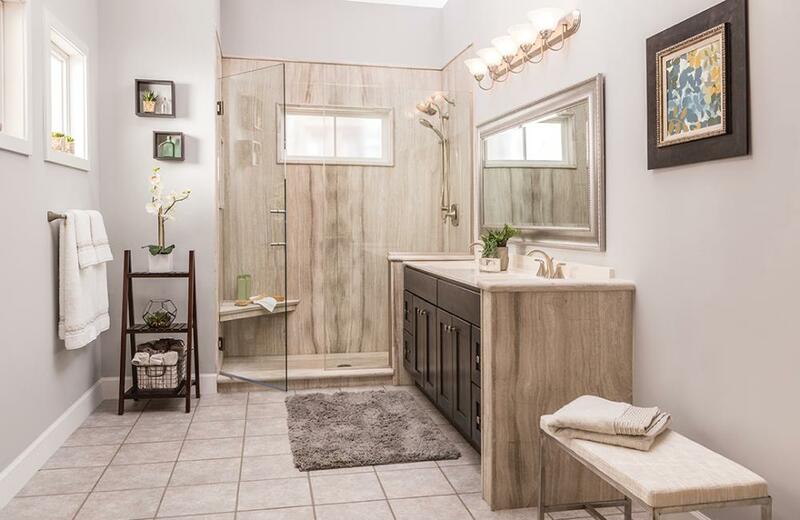 "Some of the customers have doubts about how fast their bathroom can be transformed and seeing that 'wow' expression when it's done makes it all worth it," he says. Teamwork is what makes the company run smoothly, says Josh. By keeping customers informed and involved throughout the process, Re-Bath is able to make each project personably customized to each customer. "We all work together to achieve our goal of giving the customers a bathroom they can feel really good about," he says. "We have a great team from top to bottom." Josh is a huge fan of sports and visits State College for Penn State games. He likes to spend time with his daughter - and in the summer you can find him boating on the Susquehanna river.